If the fashion world has its seasonal extravaganzas, consider the following few months a beauty biggie for brightening. Now generally understood to mean an evening of skin tone – no racial connotations here, folks – “whitening” or brightening is, judging by the sheer volume of press releases inundating our reception, still a huge thing for Asian ladies. 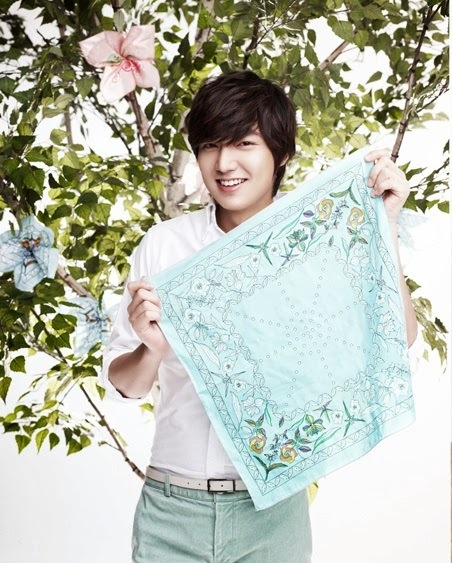 Let’s start with innisfree, a relative newcomer in the Singapore market – and a very popular one at that, by way of its feel-good Mother Earth philosophy and, let’s face it, the massive star appeal of its current ambassador and K-Drama king, Lee Min Ho. 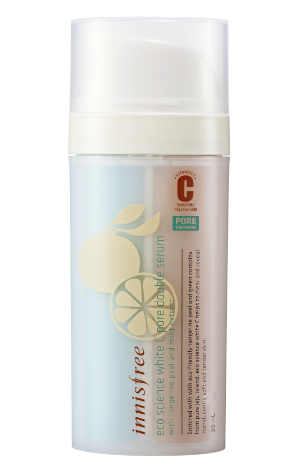 Meet the brand’s two new extensions to Eco Science White C, its flagship brightening range. Choose from Eco Science White C Double Serum (shown above) or Eco Science White C Pore Double Serum (below), the former boasting an intensively hydrating, organic green tea-imbued formula and the latter pore-tightening properties courtesy of a dash of refreshing mint. The citrusy star ingredient of both serums, interestingly enough, is organic tangerine skin, making the green tea and mint serums seem more like bespoke cocktails. Jeju’s organic tangerine zest is said to have at least four times more vitamin C than its pulp – which probably means it would be a good idea for us to eat our oranges whole! The serum bottle comes with two pump cylinders which dispense just the right amount of stabilised vitamin C, to be mixed with the other ingredients in your palm for maximum potency. To use, simply pump, warm up the freshly concocted serum in your cupped palms, then massage gently into your visage before your usual moisturiser. Is that Lee Min Ho? I might try this serum. Hi hi hi!